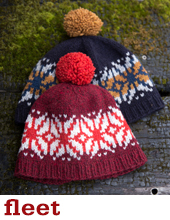 We couldn't do a collection of colourwork knits without including a snowflake! 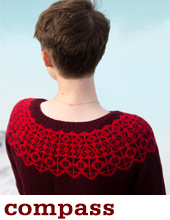 Sizing Note: Because this sweater has all-over patterning, the fabric is much less stretchy than stockinette, so take care to choose a size with zero ease or positive ease. CC2: 30 yards for child sizes, 50 yards for adult sizes.